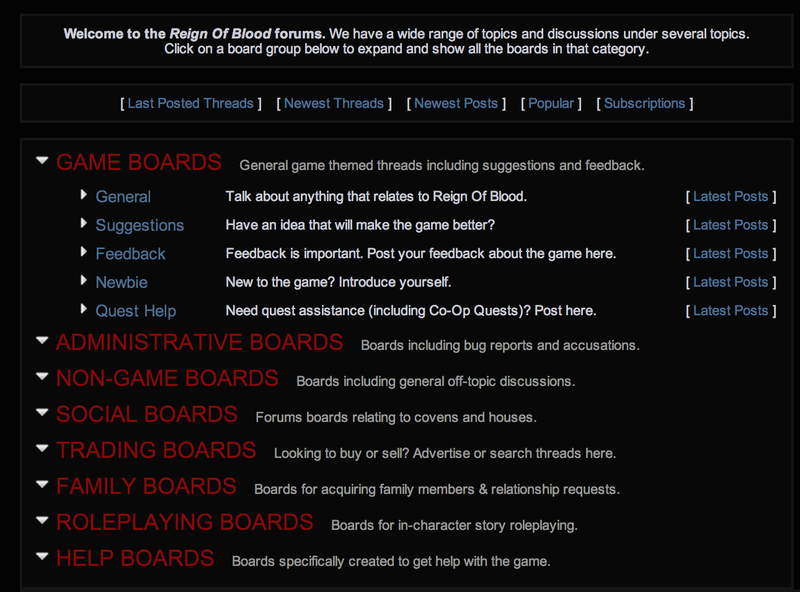 We have a whole load of forum boards on Reign Of Blood. Ranging from game themed boards, all the way to recruiting for your family. The previous solution was to section off groups of boards, for example roleplay and family, to help organise the chaos. Thanks to the original idea from Darion, I've come up with a new solution that allows me to bring everything back to one place. So today, I've updated the forum board layout. I hope you enjoy the new forum look, it does look pretty good. And lastly. Coffee anyone? How do we see our RolePlay Forum subscriptions?